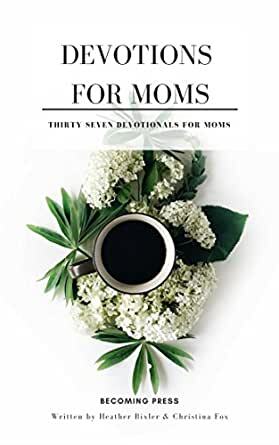 Devotions for Moms: Thirty-Seven Devotionals for Christian Moms - Kindle edition by Heather Bixler, Christina Fox. Religion & Spirituality Kindle eBooks @ Amazon.com. Awful font choice - makes it hard to read. this book hit on a lot of subjects, feelings that I struggled with. I refer back to this book often for the way it's worded it touches me helps me in understanding and each time I read over a section I learn something new. Excellant book. Good read for moms who need to have a few minutes with God and study his word. This book was such a blessing to my life. I'm sure it will be to you as well. God bless you! If you choose to read these devotions one a day, you’ll have enough material for more than a month. Alternatively, a busy mom might pick an appropriate topic from a nicely arranged chapter list and jump straight to the devotion most appropriate (jumping back for more, since each devotion ends with a link to the contents again). 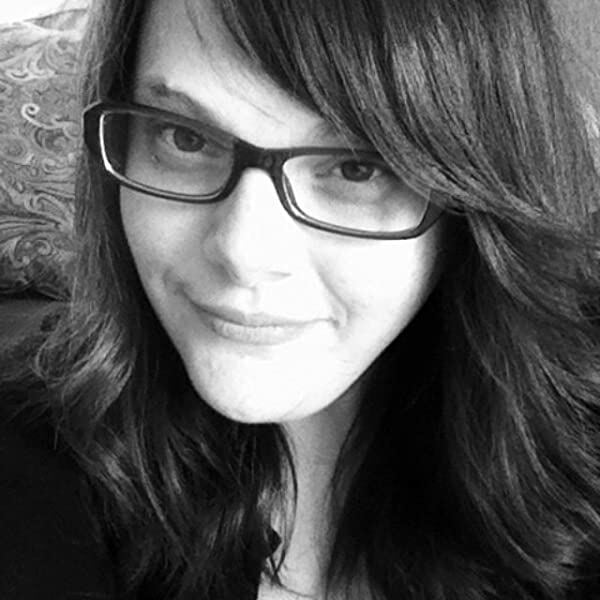 Titles cover deep issues of healing and brokenness, and everyday problems like baskets of dirty clothes. Feel burned out? There’s a devotion for that, and for when your work feels fruitless or fears overwhelm you. Each devotion begins with a Biblical quote (maybe several quotes) and ends in prayer. In between the reader is asked or guided through thought-provoking questions to see God’s truth behind life’s distractions. Who or what do you fear? Asks the author in one place. And Why should we have confidence in God? These devotions are all sufficiently long to draw the reader in, while still being short enough for a quick lunch break before school’s out again. Both authors are open and honest, reminding busy moms we’re all in this together—and God is with us. And both offer wise and practical advice, as well as prayer. For readers needing more, there are links to more books embedded in the text—a neat idea. As I read this book, I found myself highlighting passages and writing notes. So much of it stood out to me. I liked that each devotional can stand alone - it's not a "start at the beginning" book. Each devotional focuses on a different variant of how God loves us no matter what, but a mom could find herself feeling different emotions and looking for spiritual nourishment in that particular area and find it, rather than feeling like "Today is Tuesday, I must reflect on Tuesday's prayers." It doesn't matter what day it is - just what you need for your relationship with God. One thing that struck me was how raw this devotional is. So many are preachy - what one should do. But life doesn't work according to what one "should" do - we are human, we fall short, and some days, our heart knows deep down that God has a plan but our in-the-trenches mind is saying, "Really? REALLY???" and so we struggle. But the author doesn't berate her readers for feeling...well, human...and instead puts herself up as example of one just as human as the rest of us. I have a daily devotional that I am starting to work though, but it's a "Day 1 is here, day 2 is here..." etc. As much as I love it, because it breaks down the Bible from start to finish, sometimes we need to be able to find a way to speak with the Lord on our terms, not a book's terms. This book will definitely get a lot of reading as I find there are just some days where I'm called to reread a particular chapter. Disclosure: I received a copy of this book in exchange for my honest opinion. I was not required to write a positive review, nor compensated in any other way. All opinions are my own. Devotions for Moms by Heather Bixler & Christina Fox is a beautiful devotional filled with personal insights and heavenly encouragement. This devotional is filled with topics that are extremely relevant to mothers of any age. Every mother can glean a mountain of wisdom from these honest and touching devotionals. Most any situation that we find ourselves in is discussed in this book. Each topic is dealt with in a highly human yet grace-filled way. While our weaknesses are detailed before our eyes, the God-focused solution to each problem is brought to our attention for our own betterment and personal meditation. There is no judgment; there is only love. Where you think you might find cold rebuke, you will only discover a deeply ingrained grace that longs to finds a home in your own heart. I would encourage you to open your mind and your heart to these raw, honest, and deeply human devotional that discusses the issues that we deal with every day. Instead of hiding or denying what you are dealing with, allow the love, grace, and peace that flows through this book to fill your heart and refresh your soul.